Global Travel Media » Blog Archive » Several value-for-money options on offer to skiers or snowboarders who stay at a ‘new’ hotel in the heart of the Hakuba Valley. Several value-for-money options on offer to skiers or snowboarders who stay at a ‘new’ hotel in the heart of the Hakuba Valley. 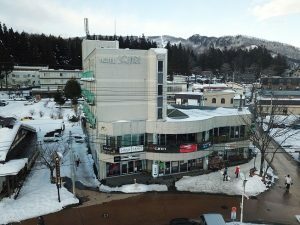 SkiJapan.com has acquired what was the “Square Hotel” and renamed it “Hakuba Gateway Hotel”. This will become the base operation for an Australian snow holiday company that has had a significant presence in Niseko for more than 20 years. “We are very excited to announce the opening of our new hotel complex and expand our base of operations into the Hakuba Valley,” says Belinda White, SkiJapan.com’s General Manager. What was previously known as “Square Hotel” is currently undergoing renovation but will retain its charm as a two and a half star property. 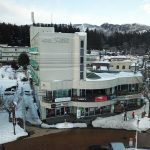 Hakuba Gateway Hotel is positioned as an affordable accommodation that will gain popularity with Australian snow enthusiasts. It is close to Happo-One Snow Resort’s 21 lifts (including a gondola), numerous restaurants, resort shuttles and public buses. The hotel will also feature a rental/retail shop, restaurant, as well as SkiJapan.com guest services desk and ground transport. Five nights accommodation in a Western Twin Share with Ensuite Room costs $1,056 AUD for 2 people ($528 per person) including breakfasts. (Subject to exchange rate changes). A seven-night option, also in a Western Twin Share with Ensuite Room, costs $1,478 AUD for 2 people ($739 per person) including breakfasts. Rates include Gateway Early Bird Special 10% Discount (Book before 31 Aug) and are subject to exchange rate changes. Another saving is holders of an Australia Epic Pass -that promises more snow less dough – could save about 26,600 Yen (about $320 AUS) if they ski or board the Hakuba Valley ski areas for five consecutive days.